On Divine Mercy Sunday, Nativity of the Lord Parish will be holding a celebration that includes a consecration to Divine Mercy based on Fr. Michael Gaitley's book, 33 Days to Merciful Love. The book would be read as a self-study over 33 days, beginning on March 26. This study is primarily geared for adults, though young adults and teens have also garnered great fruit from it. All interested persons within the Diocese of Saginaw are invited to join us for the celebration on April 28 (consecration is optional). Please come to our Divine Mercy Celebration, Sun., April 28, at St. Paul the Apostle, 121 Union St., Ithaca, MI. 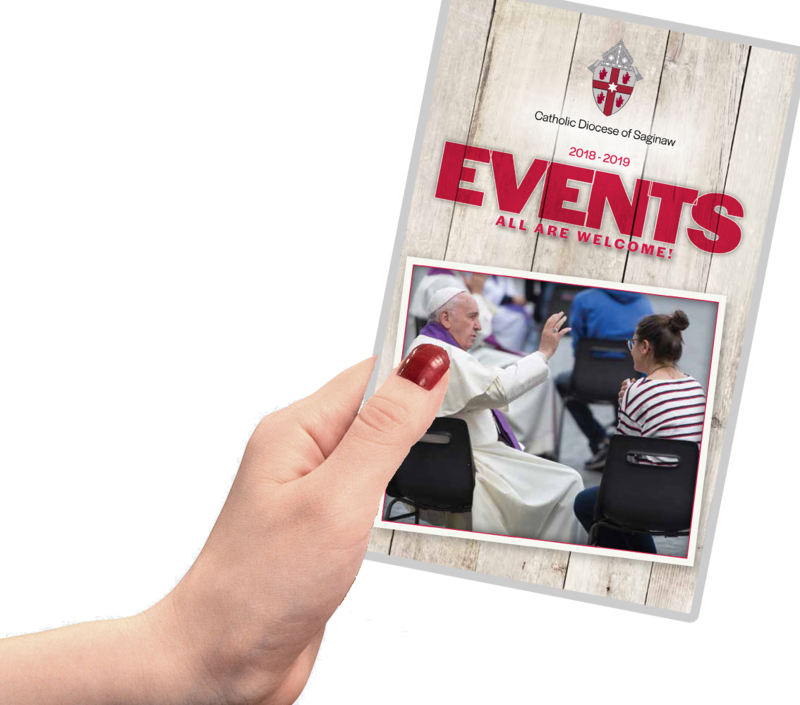 From 2:00-4:00, there will be Eucharistic Adoration, Reconciliation, readings from St. Faustina’s Diary, the Chaplet of Divine Mercy, and music. At 4:00, we will enjoy fellowship with a potluck meal. Spirituality Program), but she will also draw from her own rich experience as a spiritual director. Plan to join your formation and youth ministry colleagues for a day of prayer, fun and reflection. Our presenter will be Patty Chase, Regional Coordinator for the Office of Catechetics of the Archdiocese of Detroit. It is FREE to parish faith formation and youth ministry leaders. Lunch will be sponsored by Our Sunday Visitor. Cost: $11 without lunch; $21 with lunch. Pastoral Care 102 Workshop: "End of Life Care & Support"
attending. All those who visit the sick, elderly and homebound are encouraged to attend.